Experiencing a new destination, whether locally or internationally, is probably one of the most exciting things you will ever do. From the dream phase when you’re still deciding which exotic destination suits your budget, to nabbing the most reasonable Travelstart flights hot off the shelf before they’re sold out. With all the excitement, we often overlook the slightly more arduous tasks like arranging your visa (yawn) or making sure you make it to the airport in ample time for your flight check-in. 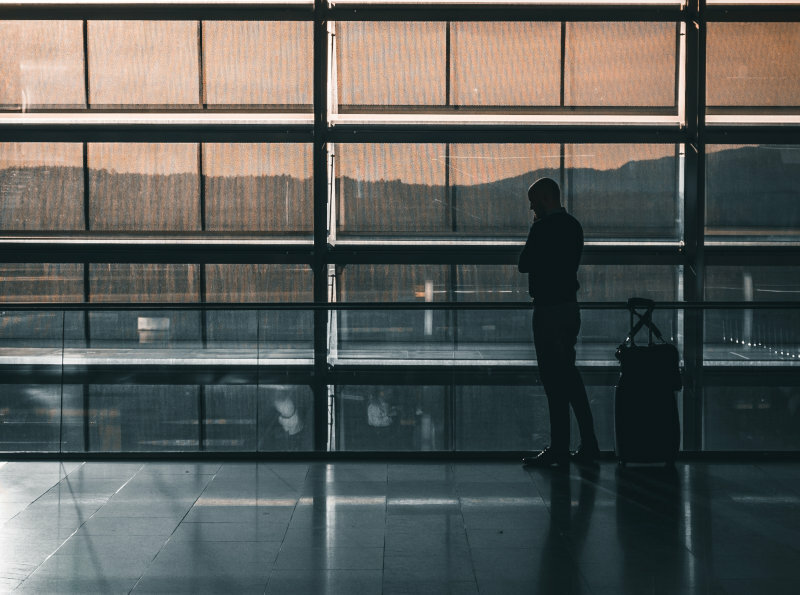 A frequently asked question is “How do you check in to a flight?” You’ll be surprised at how quickly time creeps up on you. Even frequent travellers often get this one wrong, causing them to miss their flights completely. There are a few tricks when it comes to the flight check-in process. We want to share these with you in order to make your holiday hassle-free from start to finish. 1. What does it mean to check in online for your flight? 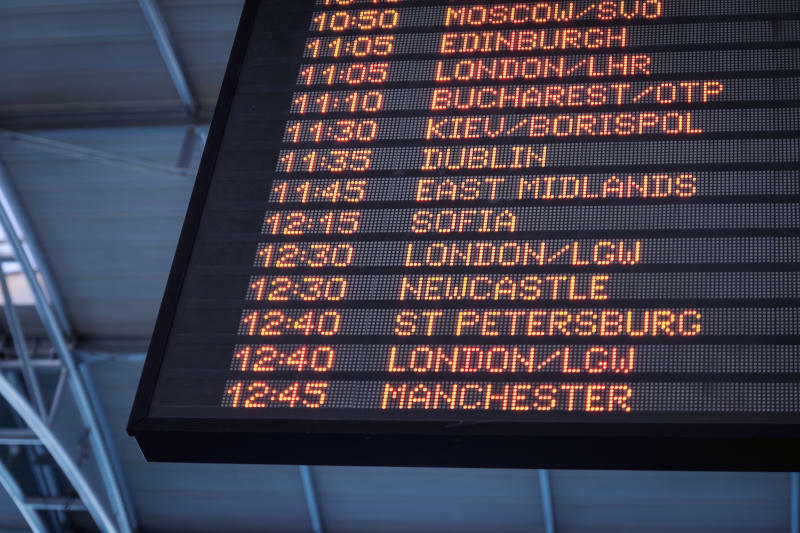 Depending on the carrier, some airlines open online check-in as early as 48 hours or 24 hours before the flight and close up to 90 minutes before departure. Beat the mad rush to the airport. You can never predict unforeseen traffic. Book the seat you want before anyone else nabs it. On some carriers, you can even select your meal options and baggage quantities. Once your flight check-in is complete, remember to print out your boarding pass or get it from a self-service kiosk at the airport; depending on the airline. 2. How early do I have to be at the airport? 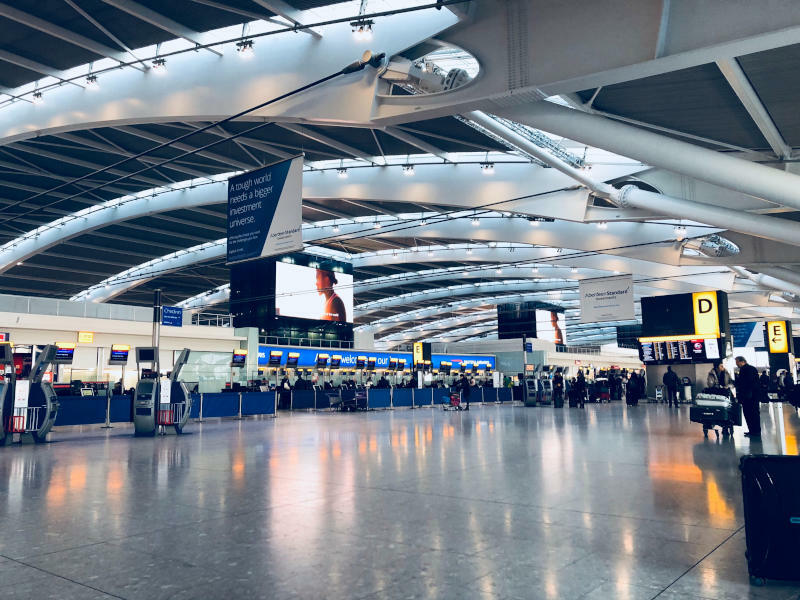 It is generally advised that travellers should be at the airport an hour before a domestic flight and two to three hours for an international flight. As a rule of thumb, we always say, the earlier the better. You can never be too early for a flight. For example, we would advise when travelling to the USA that you arrive at least three hours earlier for your flight as increased security checks are conducted. The standard opening times for flight check-in desks, however, are two hours before departure. Always leave a bit of extra time for delays, especially if you are travelling during peak travel times like Friday evenings or Sunday mornings and over holiday periods. If you are travelling with large quantities of luggage, you should try to get to the airport earlier than later, especially if you would like to wrap your luggage. Luggage weight problems can always cause a delay which can have a knock-on effect on everybody waiting to check in. Checking in online may save you a bit of time but if you have luggage to put through, adhering to the advised time frames would be best. The good news is, the gates generally close 25 – 40 minutes before departure so if you have already checked in online, this might be your saving grace. You will need to locate the departure terminal. Whether you are being dropped off at the airport or leaving your car at the airport, make sure you arrive at the correct terminal. 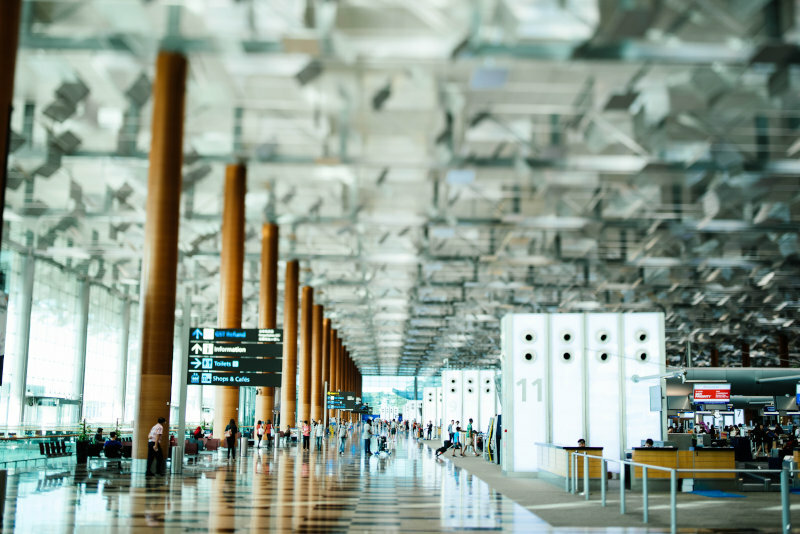 Many of the larger international airports are quite expansive which can sometimes mean that terminals can be in different buildings. The last thing you want is to find out you are at the wrong terminal for your flight check-in and you now have to make your way to a totally different building. This can all be avoided by checking directly with the airline either online or by calling them before making your way to the airport. Make sure you know which airline you are flying with. Unfortunately, you cannot just check in at any airline check-in counter. Check your e-ticket or booking the night before your flight to avoid any confusion. You don’t want this to be the reason you miss your flight check-in. If you are unsure or struggling to find your airline check-in counter, ask an airport official – they would be happy to help you. Whether it’s a domestic flight or an international flight, it’s important to know that all airlines have their own restrictions and rules around baggage allowance at the flight check-in counter. Most airlines will allow for 1 piece of hand luggage or carry-on luggage in addition to a laptop or handbag, and 1 or 2 pieces of luggage for the hold, but again this all depends on the airline. Some airlines use a piece concept, while others use a weight concept, meaning you can check in as many bags as you like, provided the total weight is within your limit. Make sure you know what your luggage restrictions are on Travelstart’s airlines guide. For shorter commutes, try to avoid carrying anything more than hand luggage and proceed to the shorter check-in counter where possible. 6. Can I travel without a print out of an e-ticket? Traditionally, travellers would go to a travel agent and the travel agent would book the flight and then print out your travel itinerary for you or have it delivered to you at a later stage. Nowadays, with the rise of e-commerce, travellers can book their own tickets online. 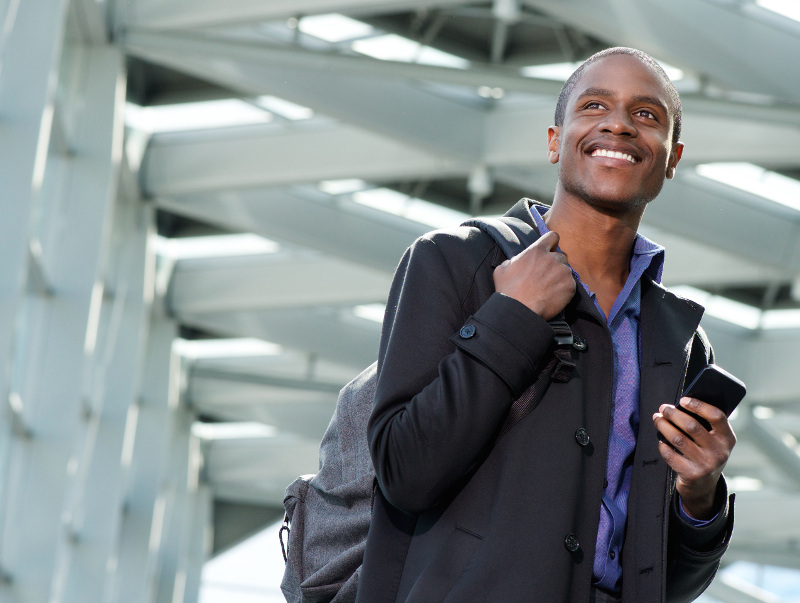 As an example, once you have booked and paid for your trip on the Travelstart website, your e-ticket will be immediately sent to you via email. Your e-ticket will contain your flight booking reference, flight number and your ID/passport number. Some may print this e-ticket while others may simply just download it to their smartphones so they can just open it up on their phones and present it at the flight check-in counter. Since the entire booking process is now electronic, the agent at the check-in desk will be able to verify your booking as everything is already saved in a database. You will, however, need to carry your ID/passport and other required documents (if necessary) at all times in order for them to verify and print your boarding pass. As mentioned before, you cannot travel without a boarding pass. Your boarding pass is your ticket through to the departure lounge and onto the aeroplane. No boarding pass, no entry. 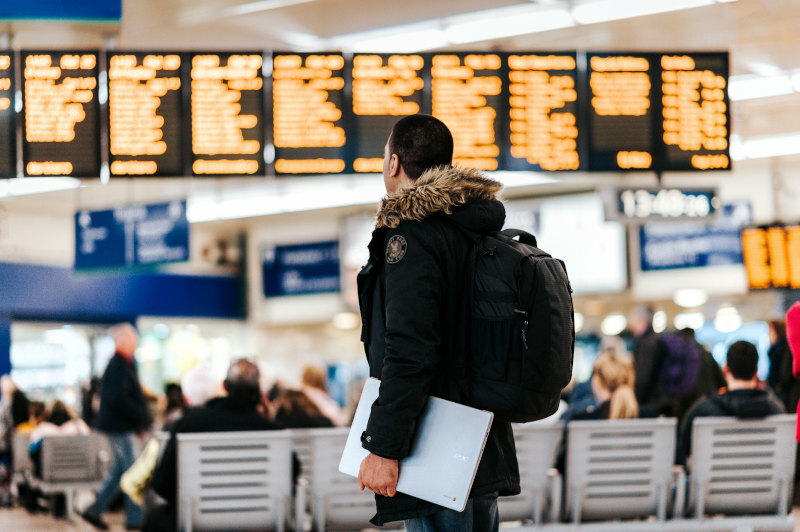 There are a number of ways you can go about doing this actually and in fact, with the use of technology, it can be a lot easier and quicker than you think, especially if you don’t have any luggage to check in. Option 1: The traditional method of printing out your e-ticket and arriving at the check-in counter with your ID/passport and the credit card with which you purchased your ticket. Option 2: Check in at a self-check-in counter where all you need is the credit card with which you purchased the ticket, print your boarding pass and you are good to go. You see, your flight check-in process can be really easy and very little hassle when executed properly. Ideally, you want to be able to check in with a bit of time to relax and unwind before your flight. Don’t forget to check what travel documents you might need if necessary for your international trip. Let us know if you have any handy tips when it comes to a flight check-in. We’d love to get your feedback in the comments below.